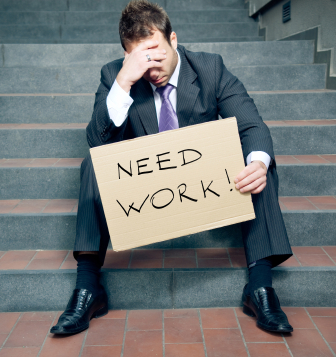 Is Your Emotional Status Compromising Your Job Search? At Grammar Chic, Inc., we’ve helped countless jobseekers refine their resumes and cover letters, utilizing the precise wording and specific formatting needed to win the attention of recruiters. Obviously, we’re nothing if not passionate about the importance of a good resume. With that said, we have no trouble admitting that your career prospects are about more than just words on a page. They’re about more than your skills, achievements, and past opportunities. In a very real way, your career advancement can be aided—or compromised—by your emotional state. If your mind or your heart aren’t in the right place, it’s going to be evident to hiring managers and HR bosses. They’ll sense that, even though you may look like a perfect fit on paper, there’s something holding you back from total investment in the process—and because total investment is what they’re after, they’ll simply move on to the next qualified applicant. You’ve become discouraged by the process. Let’s be honest: Searching for a new job can be grueling. It’s easy to become wearied by it, and to feel discouraged by the process. Unfortunately, your feelings of discouragement can come through in your job interview; hiring managers need candidates who don’t just have the right skill sets, but also have positive attitudes and boundless energy. That’s what makes it vital to do something to prevent total discouragement—to enlist the help of your friends and family members to support you and keep your spirits as high as possible. You’re trapped in a terrible job and just want to escape. To be sure, there’s nothing wrong with doing everything you can to get out of a bad work situation. However, if your only interest is in escaping your current job—if you’re not actively, positively interested in this potential new employer—recruiters will know it. It will be obvious that you don’t care about the company per se, but rather just need a way out of your current gig. If you are looking to escape a bad job, make sure you take time to research new employers and to cultivate some passion for what they do. You don’t actually wish to leave your current job. Some jobseekers look for new work just as leverage to negotiate a better salary at their current gig. Again, there’s nothing necessarily wrong with that, but a lack of active interest in your potential new gig will come through in the job interview. Learn about the company, and at the very least try to fake a sincere interest in it. You’re unsure about your career. Do you feel like you may wish to change careers within the next year or two? Then looking for work along your current career track may prove tricky. Make sure you have a clear sense of what you want to do and what you want to be; indecision will be perceptible to recruiters! We’re not suggesting, by the way, that you can simply flip a switch and change your emotional state—and if you’re dealing with any of these issues, working through them can be tough. However, just being aware of your emotions, and trying to get a better handle on your feelings and motives, can be a big help to you in your job search. To learn more about job search dos and don’ts, we invite you to contact us today. Call 803-831-7444, or visit http://www.grammarchic.net.